The fossil man was lying on the left side, the left ulna being parallel to the longitudinal axis of the cavern, ten meters from the entrance, near the left side-wall. 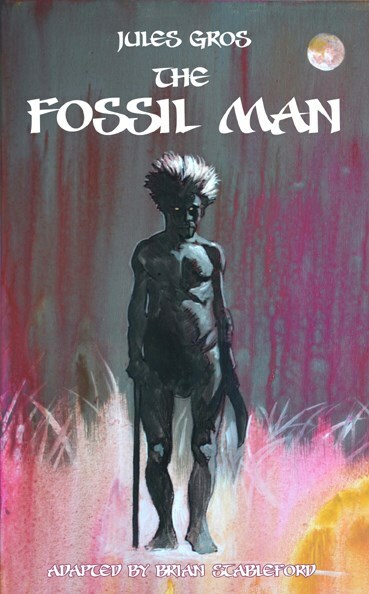 Jules Gros' The Fossil Man (1882) is a mildly satirical comedy describing the progress of an 1876 international scientific expedition to a fictitious island south-west of New Zealand, which comes across the existence of fossilized human remains. The theme was still very controversial when the story was set, especially in Catholic France, where religious opposition to the idea of the great antiquity of the human species, making nonsense of Biblical chronology, had been forceful. The notion that the human species had undergone a long, slow process of evolution was anathematized, and the gradual but enormous accumulation of evidence produced by excavations all over Europe, but particularly in France, was a hot topic. The discovery of quasi-Magdalenian remains in the southern seas would, indeed, have seemed as exciting and significant to real scientists then as it does to the fictitious ones in his story.